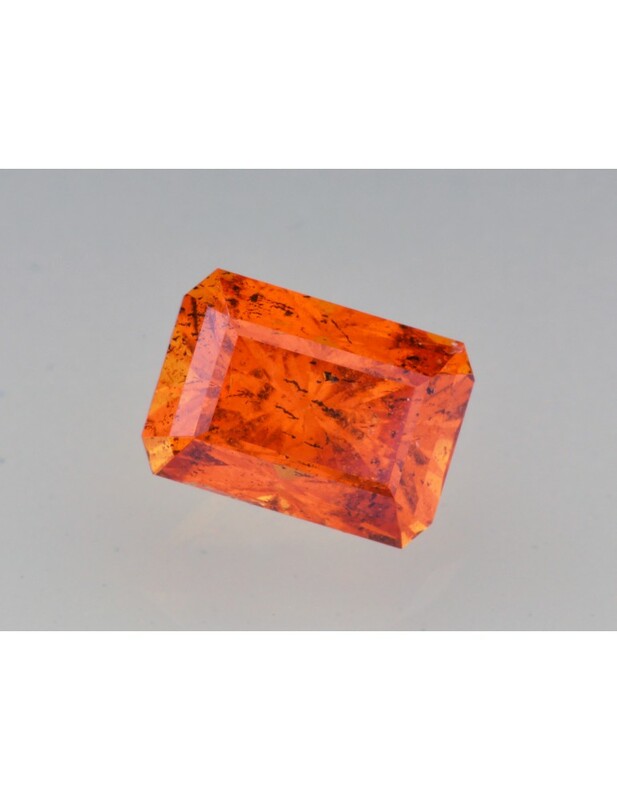 Notes: Nice Fanta orange spessertite garnet. The brilliance is off the charts thanks to a wonderful design. This stone has the light return of a round brilliant fit into an emerald shape. 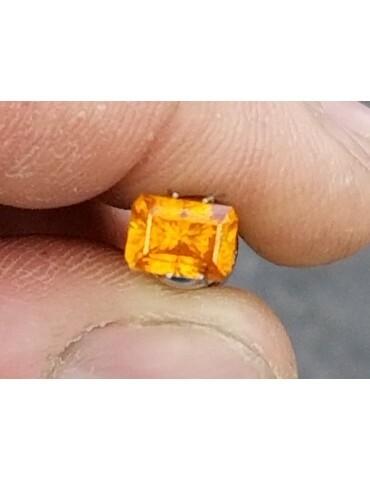 There is small inclusions referred to as sugar that is difficult to see by the unaided eye but they do not detract from the brilliance or the beauty of this gemstone also has a couple of smaller inclusions. The color is strong and vivid with a medium tone.